Descendant, the first in a new occult fiction series by Bob Freeman, is divided into two sections, Book One and Book Two, with a rather complicated storyline. Book One begins with Dr. Landon Connors embarking on a difficult astral journey to contact a demon. Afterward, he has a brief conversation with an unusual companion, setting the tone for a story filled with fallen angels, werewolves, zombies, vampires, and other evil creatures seeking to bring about the downfall of humankind. Dr. Connors, a powerful magician, is informed that he has been summoned to a crime scene at a cabin he owns. The cabin is a way station for the Nightstalkers, a group that fights evil without government sanction. He meets Agents Wolfe and Crowe for the first time (but not the last), and together they try to track down a gargoyle in the immediate area. Wolfe and Crowe are part of the Paranormal Operations Division of the FBI and frown upon the activities of the Nightstalkers. While Wolfe can cast spells and travel through the astral plane, she is not nearly as powerful as Dr. Connors, which is one of the reasons the doctor has been asked to assist them. Crowe has his own special talents and is one of the undead and he shares his unique tale with Connors. This is the first time I’ve read a story with a zombie for a main character that was not about a zombie apocalypse. They leave Connors to tidy up the loose ends and move on to their next investigation. The two agents travel from one monstrous crime scene to another, usually located in small Midwestern towns with long supernatural histories. They are expected to eliminate the threat, and cover up the real events with a fabricated explanation. Book Two includes even more complex characters, such as Father Rainey and Mr. Drake. Both characters were briefly introduced in Book One and prove to be critical connections to the various rituals that the agents have been investigating, including a horrific satanic ritual and a meddlesome family that seem tied to everything that has gone wrong. Until I reached Book Two, I thought this was just a random assortment of paranormal crime investigations by two FBI agents, Wolfe and Crowe. As I continued reading, each chapter revealed another mystery that guides the two agents further into a tangle of demonic scheming. I was drawn into the ritualistic drama leading up to a confrontation of biblical proportions, when all the secrecy is stripped away and a plot to unravel the world is finally divulged. While this novel could be a stand-alone – no wicked cliffhanger or blatantly open ending – Freeman plans to follow it with more in the Wolfe and Crowe series. 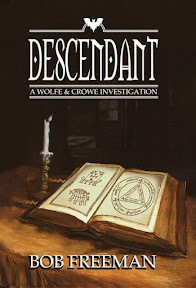 Descendant is not a story with an occult theme; it is a fictional novel based on Freeman’s detailed knowledge of the occult, with extensive terminology and background information. Freeman is the founder of the paranormal research group, Nightstalkers of Indiana. He is also a member of the Aleister Crowley Society and the Indiana Horror Writers. More can be found about the author at his website Occult Detective. We couldn’t resist – with so much mind candy on the Internet, how can we only put one video of the week on our blog? So, dear readers, a special treat: two awesome videos that we think you’ll enjoy. The first video begs the question What Would Jim Henson Think? The cast of Sesame Street take their own unique twist on “True Blood,” the popular vampire/werewolf series based on the novels of Charlaine Harris. Our favorite moment? The Muppet version of the character Lafayette sashaying through the foreground at the beginning of the video. In the next video, Ron Charles at The Washington Post reviews Michael Cunningham‘s recent novel By Nightfall. True to Ron Charles form, only he would find a way to bring the Twilight franchise’s Taylor Lautner into a review for a character-driven book by a Pulitzer Prize-winning author. Due to copyright restrictions, you’ll have to click here to watch the video review. Nathan Long has written three Warhammer novels featuring the Blackhearts (a group of criminals turned soldiers), and has taken over the Gotrek and Felix series, starting with Orcslayer. Long also wrote the short story, “None So Blind,” about an invasion by High Elves from Ulthuan on a mission to attack and take revenge on Malekith, Witch King of the Dark Elves, that can be found in the Warhammer anthology, Invasion. In the Gotrek & Felix series, Ulrika Magdova was Felix’s former love interest. She was a Kislevite noble, daughter to Ivan Straghov, the March Warden of the Border, who fought against the Chaos hordes in the north. Before Ulrika was turned into a vampire, she traveled with Gotrek, Felix, and Max Schreiber during an expedition to Karag Dum. After, she was kidnapped by Krieger in Sylvania and from him received the “blood kiss.” In Manslayer, she wanted to get back together with Felix, but their differences were too great. Bloodborn takes place between her last appearance in Vampireslayer and her return in Manslayer. Ulrika has only been a vampire for a couple of weeks and is having a terrible time controlling her urge to feed. The story begins with her running naked in a forest, about to feed on a victim, when her mistress, Countess Gabriella, and her blood-swain, Rodrik, stop her. The Countess takes Ulrika back to her castle, and continues her attempts to teach Ulrika not only to control her hunger, but to control how much blood she takes when she is allowed to feed. Before the Countess is able to fully train Ulrika in the Lahmian ways, the vampire queen instructs Gabriella to help her sisters in Nuln. Two of the six sisters have been ripped apart by an unknown assailant. The corpses were left in public areas with their claws and fangs extended, causing a panic among the human population and attracting the wrath of the witch hunters. Once Gabriella and Ulrika arrive in Nuln, it is obvious that internal politics between the sisters is going to impede the investigation into the deaths. When it is clear the Gabriella’s sisters are too paranoid to trust one another, suspecting each other of the murders, Ulrika is ordered to spy on them. While searching for clues, Ulrika comes face to face with a witch hunter named Templar Friedrich Holmann, who does not realize that she is a vampire. They eventually agree to hunt together, which furthers complicates Ulrika’s situation with her mistress and the other vampire sisters. I think Nathan Long did a great job of writing a strong, female character as a tragic heroine. With all the clawing, sword-fighting, and ghoul attacks, these vampires were far from the fops that are usually found in vampire tales. In fact, this particular novel was more horror than fantasy. There were just enough flashbacks to tie this book into the Gotrek & Felix series without it being necessary to have actually read the other Warhammer books. Even though this is just the first in an Ulrika series (the next one will be Bloodforged ), I still thought the ending was a bit too abrupt: an element of the story, a mysterious voice, was never revealed. Everything else was wrapped up into Ulrika’s training with the Countess. I love both the Gotrek & Felix series and the spin-off Thanquol & Boneripper series, but if you don’t have time to catch up or backtrack the Warhammer timeline (by reading, for example, Gotrek & Felix: The First Omnibus (Warhammer), you can learn more about the characters in Ulrika’s world in the collection Death & Dishonour, which includes vampires, witch hunters, and more. You can visit Nathan Long’s blog here. Between the Twilight Saga and the True Blood series, you might be sick of hearing about vampires. I personally prefer zombies, although I do partake of other genres from time to time. I had given up on vampire fiction until I read The Strain about a year ago, and I realized that the vampire genre has improved a great deal in the last few years, despite the mainstream vamp-bandwagon fodder. Authors are breaking away from the typical stereotypes of drop-dead gorgeous vamps with sordid love lives and tormented souls. 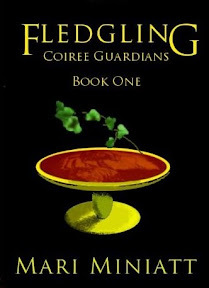 Fledgling: Coiree Guardians is the perfect example of breaking the vampire mold, and redefining the powerful female protagonist. Indie-author Mari Miniatt introduces readers to Beka, an overweight young woman with a history of mental issues and a medicine cabinet full of prescriptions to prove it. She is a computer geek, with real hacker potential. She lives in an apartment above The Burgundy Rathskeller, a gothic nightclub run by her brother John. John is the only one who has any idea of the horrible secret that has haunted Beka. As her sympathetic landlord, he doesn’t charge her rent, and sometimes asks her to help out for a little extra cash. One night, while working at the club, she discovers that her brother’s friend Vincent is a vampire. Before she has any time to process this information, she’s attacked by another vampire who was hunting on Vincent’s territory without permission. Most female characters would have either broken down and sought help from a handsome stranger, or dressed in leather fitted with weapons to become some supernatural warrior, but Beka has developed a strong will to survive through all her personal trauma, without the added glamour. Her attacker is a giant by the name of Steopa. Luckily for her, Steopa is more like Vincent than the other vampires; both Vincent and Steopa value the companionship of others. Steopa returns to help Beka make the adjustment to her new existence. She is reluctant at first, but there is the possibility that she might die if she doesn’t accept the link between her and Steopa. Once again, time is not a luxury that Beka has, even as an immortal. Before she can learn to feed herself properly, there are already other vampires hunting her. When she is attacked, she discovers her own unique ability, which Vincent tells her is “cooler than turning into mist.” She also learns that she overlooked a lot of what was going on around her as a human, especially with her friends: one is a berserk, and another is a psychic. As Steopa teaches her to think more like a vampire, they find out that a string of brutal murders is related to the arrival of another vampire in the city. This mysterious vampire is hunting on grounds belonging to a vampire called Ogden. Steopa and Beka want to stop the mass killings, which have attracted the attention of the police, but Ogden requires proof before he lets them hunt the killer on his territory. While searching for evidence, with the help of Vincent, the four of them — Steopa, Beka, Vincent and Ogden — uncover a plot that is a threat to all vampires. I don’t think this novel is strictly horror, but more a great blend of thriller and mystery. What begins as a personal evolution ends as the first installment of a chilling saga. There’s no abrupt cliff-hanger, but you are left wondering what will become of Beka and her two vampire companions. You can find out more about newbie author Mari Miniatt here. August is the time of summer when the sun, heat, and humidity (for some of us at least) crescendos to the maddening point. What to do on those 100 degree days when your air conditioner is broken and the city pool fails to charm? We suggest pouring yourself a glass of iced tea and sitting back with a good book. After reviewing several recommendations in summer reading, we at this give you the best of the best recommendations, including some of our own. The folks at O Magazine (the magazine by Oprah) recommend The Particular Sadness of Lemon Cake by Aimee Bender, a novel about Rose Edelstein and her discovery, at age 8, that she can taste feelings in food. Rose’s gift brings her both pain and a special connection with a science whiz kid, George as Rose unwinds her family’s secrets in this unique coming-of-age novel. Lucia Silvia, the book buyer for Portrait of a Bookstore, an indie bookstore in Studio City, California, recommends Karen Valby’s Welcome to Utopia: Notes from a Small Town. What begin as an assignment for Entertainment Weekly magazine ended up as Valby’s obsession for the curious magnetism of a town almost entirely divorced from pop culture: no fast food joints, no movie theaters or video rental stores, no bookstores. Silvia notes that “Valby’s account [of the small town] reads like a book-length New Yorker article — compulsively readable and deeply affecting.” Perfect for those of you who’ve plowed through every back issue The New Yorker has to offer. this contributing writers had a few favorites to recommend for the summer, too. Robyn Riley at Australia’s Herald Sun newspaper declares “vampires are bloody annoying” (pun intended?) 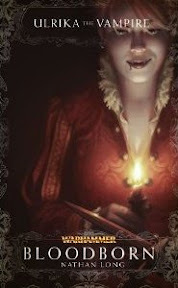 in a rant against Stephanie Meyer, specifically, and all things vampiric in general. Robyn, we hope you keep one eye open at night! 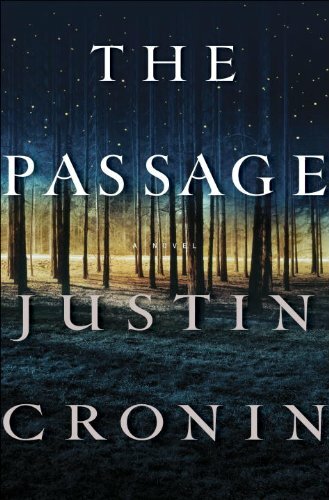 Justin Cronin’s novel, The Passage, released today under a slew of positive advance reviews, is the first in a trilogy of vampire novels set in a post-apocalyptic America. Riding on Stephanie Meyer’s coattails isn’t a bad thing, especially when a recent New York Times article noted that Cronin, a graduate of the Iowa Writer’s Workshop, previously published two literary novels that garnered him meager financial return, unlike the purported $3.75 million advance he received for The Passage . In the article, Mr. Cronin states, “I think literary is shorthand for appreciated, and commercial is shorthand for sells. I did not undertake the writing of this book thinking that it was one thing or the other, or even that books in general have to be one thing or the other. Those are descriptions of what happens to a book after it’s written.” There’s no doubt, though, that vampires sell, at least for the time being.